Are you one of big fans Girls’ Generation (SNSD)? It is like me. I am so like their performance. When I browse in internet, they have number fanatic fans. The nine pretty girls are very energetic in dancing. When I see their VC or listen their song I took shakes my head. They are the one of South Korea’s most popular female pop groups. The girls are well known across Asia with hit songs like Gee, Genie, Oh, and Hoot etc. Girls’ Generation (Korean: Hangul – 소녀시대; Hanja - 少女時代) is a popular nine-member South Korean girl group formed by SM Entertainment in 2007. The members are, in order of announcement to be in the group, Yoona, Tiffany, Yuri, Hyoyeon, Sooyoung, Seohyun, Taeyeon (leader), Jessica, and Sunny. They are commonly referred to as SNSD, the acronym of the group’s Korean name So-Nyeo Shi-Dae or So-Nyuh Shi-Dae, Chinese name Shao Nü Shi Dai, Japanese name ShōJo JiDai. They are also referred as SoShi which is the abbreviation of the groups’ Korean name. The group’s official fan-club is named as S♥NE (소원) pronounced as “So-won” which means “wish” in Korean. The leader of the group, she has since ventured out into DJ-ing and reality-variety shows, along with various solo singles. Taeyeon became a DJ on Good Friend Radio, which she co-hosted with Super Junior’s Kangin until he left on April 19, 2009; she continues to host solo. She sang a duet with Sunny for “Heading To The Ground” OST; also “If” (“Hong Gil Dong” OST) and “Can you hear me” (“Beethoven Virus” OST). She was featured on MBC reality-variety show “We Got Married” as part of the third rotation of couples; she was featured with comedian Jeong Hyeong-don. Jessica was born and raised in San Francisco, California. She released two singles with Tiffany and SeoHyun: “Oppa Nappa” and “Mabinogi (It’s Fantastic!)”. She starred in Kim Jo-han’s music video “Love is Late, I’m Sorry” and is featured in 8Eight’s song, “I Hate You”. She also appeared in Super Junior-M’s “Super Girl.” In their second mini-album “Tell Me Your Wish (Genie)”, she sings a duet with SHINee’s leader Onew in the track “One Year Later”. Jessica and Park Myeong-su released a duet song for Infinity Challenge called, “NaengMyun”. She plays the main character, Elle Woods, in the Korean production of “Legally Blonde – The Musical” from November 2009 at the CoEX Atrium. Her younger sister, Krystal, is a member of f(x). Sunny was a trainee under a different entertainment company before she transferred into SM Entertainment. After several months of training under SM Entertainment in 2007, Sunny debuted as a member of Girls’ Generation that same year. She was a co-DJ of ChunJi until the broadcast ended in July 2008. Sunny appeared in Super Junior-H’s music video for “Cooking? Cooking!”. Sunny also sang the song “Finally Now” on the soundtrack for the movie “Story of Wine”. She also co-hosts a music show called “The M” with SS501’s Hyungjoon. She is also the niece of Lee Soo Man, the founder of SM Entertainment. She also revealed that her dad was in Hwaljooro, the famous college band with Bae Chul-soo, a famous radio DJ and the host of show 7080. Sunny alongside with Yuri are part of reality show “Invincible Youth”, which they will be part of G7 (consisting of 7 girls from popular idol groups). She also sang a duet with member Sooyoung called “Happy Me”. Born in San Francisco, but raised in Diamond Bar, California; she was discovered in the SM Starlight Casting System 2004 in Los Angeles. Along with SeoHyun and Jessica, she released a single, “Oppa Nappa” and “Mabinogi (It’s Fantastic!)”. She was the co-host of “Sonyeo Sonyeon Gayo Baekso” along with Kim Hye-sung from November 5, 2007 to June 13, 2008. She sang “Na Honjaseo” from the “Ja Myung Go” soundtrack, a duet with K.Will called “Sonyeo, Sarangeul Mannada”, as well as “Feeling Only You” by The Blue with Sooyoung. Tiffany and Yuri currently host MBC’s Music Core. She was BoA’s silhouette during a dance break in BoA’s “Over the Top” performance at the MKMF Awards in 2005. Hyoyeon attended a hip hop dance school that specialized in waving, popping, locking, and animation. Yuri joined the label when she took 1st place in the 2001 1st SM Youth Best Dancer Contest. She appeared in TVXQ’s “Beautiful Life” and also made a guest appearance in TVXQ’s 2007 2nd concert. She also had a small role in a television segment, “The King’s Boyfriend”, which was part of the 2005–2006 KMTV Super Junior documentary, Super Junior Show. In 2006, Yuri made an appearance in the Chinese CF of Orion Chocopie with Jang Dong-gun, and she later appeared in the Dongil Highvill CF. Yuri also played a part in the sitcom “Unstoppable Marriage” alongside Sooyoung. Yuri alongside with Sooyoung sang the song “Ggok”. Yuri is also the centerpiece of K. Will’s music video “Dropping the Tears” and appears in the music video for “JjaRaJaJja” by Joo Hyun-mi & Seohyun. Apart from her solo works, she is currently the co-host of Korean music program Music Core on MBC alongside Tiffany. Yuri alongside with Sunny are joining the television program “Invincible Youth”, which they are part of G7. Before Sooyoung’s audition to Girls’ Generation, she made a brief debut in Japan as a singer in the group called “Route φ”. She first debuted with Marina Takahashi with the song “Start”. She was previously a DJ of ChunJi but was soon replaced by Sunny due to schedule conflicts. Sooyoung also played a part in the sitcom “Unstoppable Marriage” alongside Yuri and was also in the movie “Hello Schoolgirl” with Kang-in of Super Junior and actress Lee Yeon-hee. Currently, she hosts MBC TV program “Fantastic Duo”. She also featured in “Feeling Only You” by The Blue with Tiffany. Yoona was the first trainee revealed to be a member of Girls’ Generation and is also an actress and model. She was the lead actress in “You Are My Destiny” and “Cinderella Man”, in addition to playing a small role in “9 Ends 2 Outs”. Before her debut with Girls’ Generation, Yoona had been well known in the entertainment industry. She began to film commercials and model for various magazines when she was a trainee. Apart from the girl group’s commercials, Yoona is currently a model to endorse Clean & Clear, YeJiMin Pad and Innisfree Cosmetics. The group’s maknae (youngest). She was a 2004 SMART uniform model with TVXQ. Along with Jessica and Tiffany, they released a single “Oppa Nappa”, and “Mabinogi (It’s Fantastic!)”. On February 17, 2009, her duet with trot singer Joo Hyun-Mi (Korean: 주현미), was digitally released, called “JjaRaJaJja”. She is featured on MBC reality-variety show “We Got Married” as a couple with Jung Yong-hwa from CNblue band. read more "Girls’ Generation (SNSD) profile"
Currently, Korean Drama Pasta is running on Indosiar every day at 13:30 pm. Korean drama that originally I thought it only serves about how to make this pasta was very interesting. Especially this Drama is so funny it’s good combines by elements of romantic love, the art of cooking and packaged in a comedy. In Korea, the country of origin Pasta Drama Korea has been aired on MBC in January of 2004. Although they are the young stars and new comer in Korean Drama but as the casts their acting quality is very good. Seo Yoo-kyung is a kitchen assistant in a restaurant called La Sefra elite. During the 3 years he became assistant to the kitchen; eventually he was named chef of pasta as long as he dreamed. But on the first day he was working as a chef, he was fired by a new chef at the restaurant named Choi Hyun-wook. Choi Hyun-wook is very anti the woman who was in her kitchen. This is connected with his past when in Italy he was betrayed by a Chef Oh Sae-young woman who becomes his partner as well as his girlfriend. Since the beginning of his presence in La Sefra he never allowed anyone going out in her kitchen. Not wanting the fired Seo Yoo-kyung still come each Day. It’s make chef Choi Hyun-wook let it work. Because all women had fired the chef kitchen chef shortage, especially in the pasta, Chef finally Hyun-wook brings his students he knew in italy for work in the kitchen La Sefra. Choi Hyun-wook chef character are very hard and likes to snap his chefs with sharp words that make the atmosphere in the kitchen is not comfortable. But the character of Chio Chef Wook Hyun harsh and unequivocal fact that even makes Kyung Seo Yoo became closer until finally going out. But it was not just Chio who like Seo Hyun Wook Yoo Kyung. Boss La Sefra is Kim San was also very fond of. Complexity eventually happens, especially when the other cooks know that Chio Seo Hyun-wook and Yoo Kyung courtship. Chef chose to resign for Yoo-kyung can still work in the kitchen La Sefra. read more "Pasta: Review and Synopsis"
Paramount and DreamWorks finally announced that they will release Transformers: Dark of the Moon on Friday, July 1, 2011. This film is still directed by Michael Bay with Shia LaBeouf, Rosie Huntington-Whiteley and Tyrese Gibson as star. But the different from Transformers: Revenge of the Fallen is Megan Fox this time does not appear again. The Screenplay written by Ehren Kruger feel more real and still continue the struggle Revenge of the Fallen in eradicating the deceptions of evil robots. Several new characters appear, such as the emergence of a group of criminals in the form of Shockwave, but the old characters will be retained by the mastery of Transformers Cybertron. Under the leadership of the robots like Optimus Prime: Autobots Bumblebee, Ratchet, Ironhide and Sideswipe back in action fight against the criminals Decepticons and determined to avenge their defeat in the 2009s Transformers: Revenge of the Fallen. In this film, Autobots and Deceptions are involved in dangerous space race between the U.S. and Russia. But Sam Witwicky tangible as human beings they can eventually help them to eradicate the deceptions. 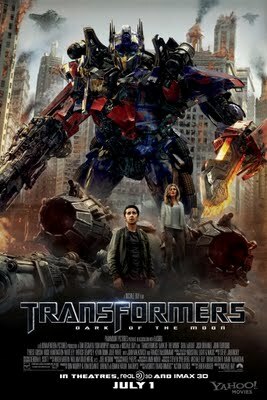 Fans of Transformers: Dark of the Moon seems to be patient because this film will be present in theaters July 1, 2011 in Real D 3D and IMAX 3D. read more "Transformers: Dark of the Moon"
Finally, after 3 years of Pirates Caribbean at World's End, at now we will witness Pirates of Caribbean: On Stranger Tides. The story is still about Captain Jack Sparrow is an adventure to find The Fountain of Youth and will fight back with Blackbeard. But now this time we can not see the action of Orlando Bloom & Keira Knightley. 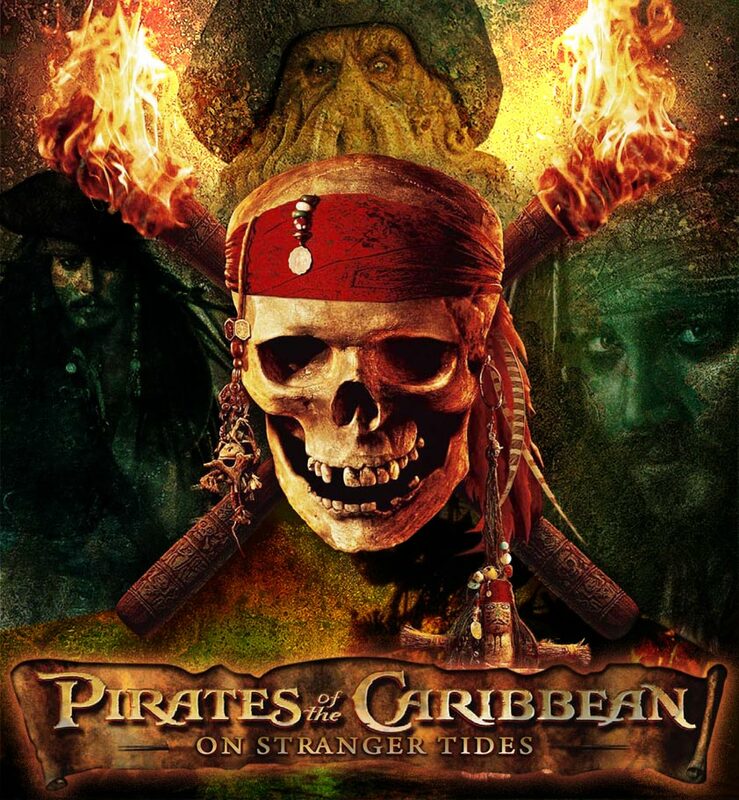 Pirates of the Caribbean: On Stranger Tides will be released May 20, 2011. 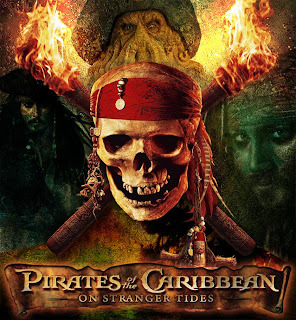 Synopsis Pirates of the Caribbean: On Stranger Tides: Captain Jack Sparrow (Johnny Depp) returns in the fourth adventure in the sequel Pirates of the Caribbean to find the fairy tale 'Fountain of Youth ". Meet with a woman from his past, Angelica (Penelope Cruz), Jack was not sure if these feelings of love or just someone who deceives Angelica Jack to find the "Fountain of Youth". When Angelica forcing Jack to board the ship legendary pirate Blackbeard (Ian McShane) "Queen Anne's Revenge", Jack finds himself in an adventure never imagined before which he did not know who is more feared, whether Blackbeard; the legendary pirate, or Angelica; woman who saves Jack's mystery past. read more "Pirates of the Caribbean: On Stranger Tides. Synopsis, Review and Trailer"